Back to School Healthy Lunch Ideas – They are delicious recipes that are quick and healthy. Also, easy to pack and kids approved. After almost 3 months of holidays, schools have opened and you can see parents running around to organize or buy last minute stuff. Just the other day, I was at our local grocery store and the aisle manager apologetically announced to a group of dad’s that the store ran out of a particular box of cereal – Ouch!!! I can so imagine these last minute running around and how stressful it becomes. 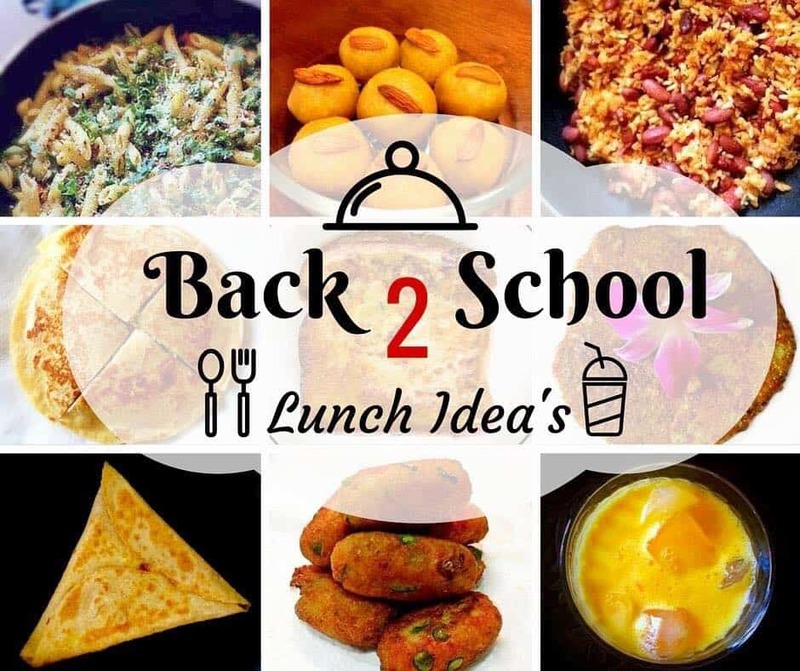 So without getting into any more details, here are some really absolutely delicious ‘Back to School Healthy Lunch Ideas’ and the best part, they can all be Made A Night Before and stored in the refrigerator in lunch boxes. Just remember to hand them over to kiddies in the morning. The Back to School Healthy Lunch Ideas recipes are for all ages of kids from kindergarten to high school and the food tastes great both hot or cold. They are used making less oil and veggies used are mostly kid’s favorite or as per their taste. 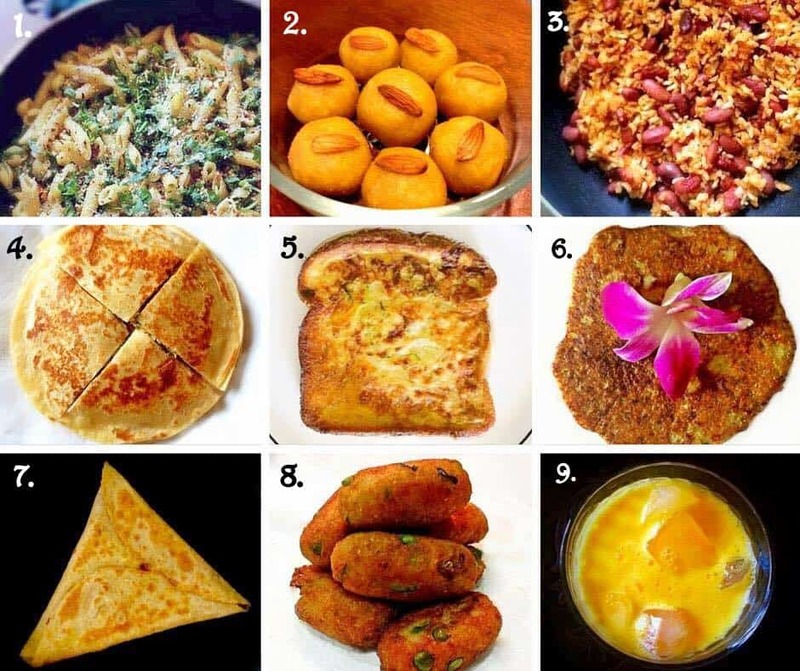 Here’s our List and click on the corresponding number for the detailed recipe. 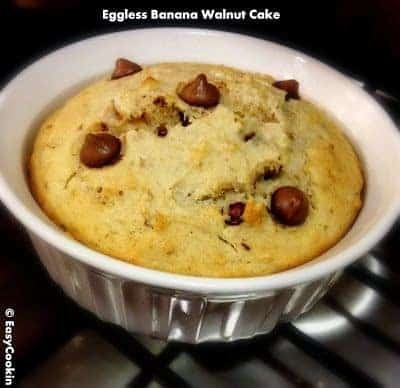 Here’s an extra recipe: ‘Eggless Banana-Walnut Cake‘ as who doesn’t love an easy peasy banana cake for surprise dessert. 18 Replies to "Back to School Healthy Lunch Ideas"
Hey there again Molly! Love how practical these meal ideas are! Thanks for sharing this!!! These are some great recipes for back to school lunch! Thanks for sharing! Some nice ideas here. I seem to remember my lunchbox consisted of banana and date sandwiches and an apple. Awesome ideas Molly. Thanks for sharing. That’s such a nice list .. Would love to try the banana walnut banana cake..
Tell me about ” Back to school ” syndrome which I am going through currenty. When you have a picky little eater at home it’s double the frenzy. Thanks Molly for the delicious repertoire of lunch box dishes. My little one will love the Orange colada. Each of the recipes look yummy and are indeed a healthy and wonderful lunch box dish for kids. Some fabulous and interesting back to school ideas here. I love the look of the Ladoo! Great list! Such a healthy lunch ideas. French toast with zucchini sounds interesting. YUM!